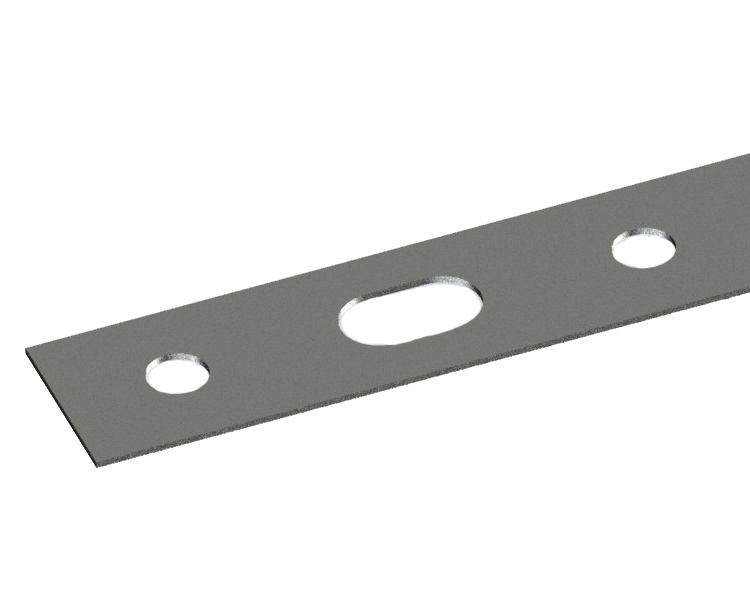 Designed for mounting of trays on the consoles to the wall or ceiling using ceiling bases. 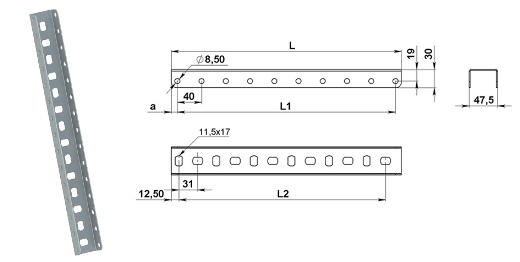 Designed for mounting of trays on a "Z" section to the ceiling with studs. 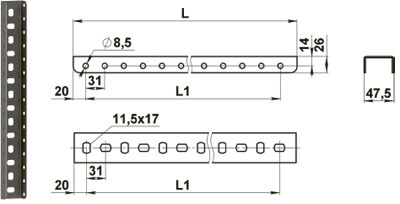 Designed to attach the cable to the wall or ceiling with ladder rung and cable clamp. 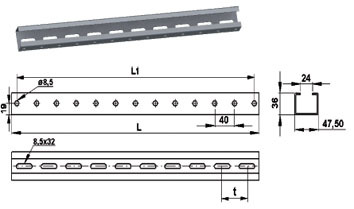 Designed to connect the bracket supports to each other and use them as heavy (compared to the tray) bearing structure cable line or create a floor-to-ceiling constructions of different heights. 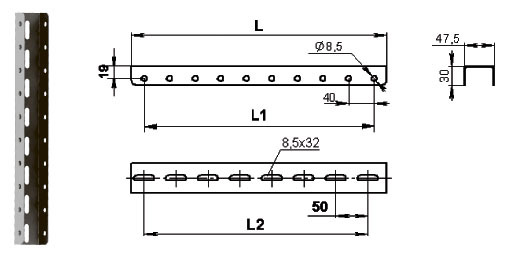 Designed for tightening, support and fixing various mounted elements and constructions.